First off, with the exception of her comment on the nano-thermite evidence, Margulis is speaking about something she knows plenty about; that good science requires evidence not be destroyed (which it certainly was) and an investigation to begin with the most likely hypothesis. 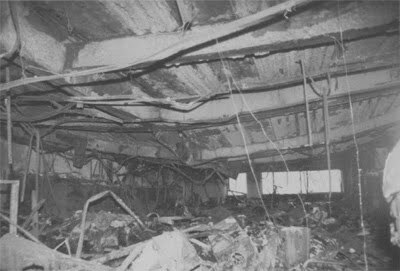 The challenge was to determine if a fire-induced floor system failure could occur in WTC 7 under any ordinary contents fire. Why would NIST have assumed that this was "the challenge"? Why would NIST, already knowing that buildings such as WTC 7 can be brought down with explosives--and indeed that is the only way in which such buildings had ever been caused to collapse--have asked if a collapse caused by an ordinary building fire "could occur"? ...Physicist John Wyndham... wrote: "NIST's failure to seriously consider other causes besides fire for the building collapses strongly suggests government interference in a scientific process." 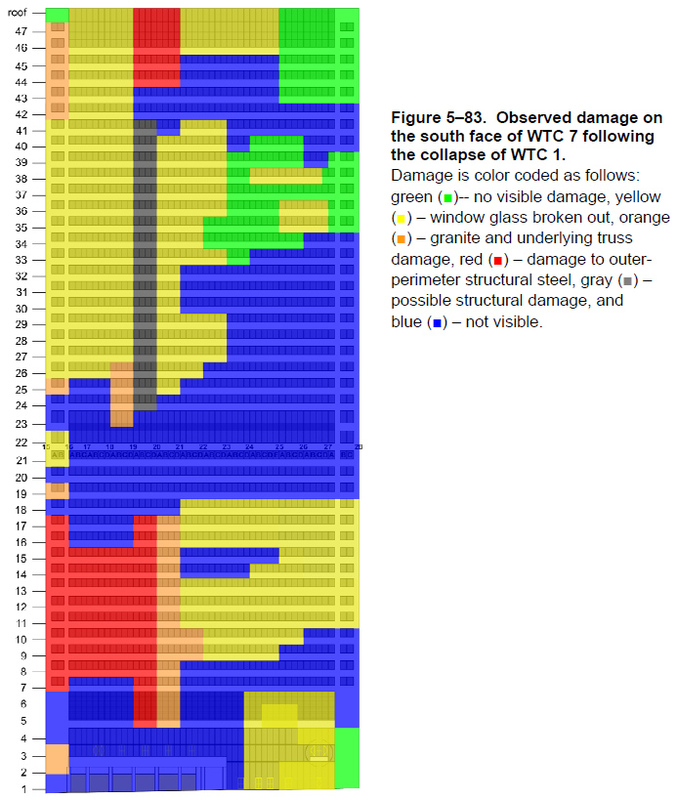 Despite claims to the contrary, Jowenko remained quite sure WTC 7 was a demolition. Perhaps the more conventional nature of WTC 7's demolition can be explained by evidence that indicates 10:45 a.m. was the originally planned demolition time. Awhile back, Pat Curley of the Screw Loose Change blog posted an entry entitled "Jesse The BSer Ventura: I Called It!" criticising Ventura for deceptive editing on the first 9/11 episode of his show Conspiracy Theory when it was revealed that he cut off the end of an experiment by explosives expert Van Romero where he painted "super-thermite," more formally known as nano-thermite, on a steel beam which in the end didn't fail structurally. I responded at the time by noting that blog contributor Scootle Royale and myself, also criticized the experiment from the beginning. Scootle stated, "The superthermite demonstration was a bit crap .. and they didn't even show the ending so I'm assuming the beam didn't break. To be honest I'm not sure it was superthermite." Now thanks to chemist Kevin Ryan we know the answer to that question. So who is the real BSer?! Ventura may have chose not to show the end of the experiment because it was only a very small amount of "super-thermite" used and it was ludicrous to think it would cause the beam to fail. But Romero definitely knew he wasn't using true super-thermite. Nano-thermite, also called "super-thermite", is the common name for a subset of metastable intermolecular composites (MICs) characterized by a highly exothermic reaction after ignition. Nano-thermites contain an oxidizer and a reducing agent, which are intimately mixed on the nanometer scale. MICs, including nano-thermitic materials, are a type of reactive materials investigated for military use, as well as in applications in propellants, explosives, and pyrotechnics. What separates MICs from traditional thermites is that the oxidizer and a reducing agent, normally iron oxide and aluminium are not a fine powder [such as in Romero's experiment], but rather nanoparticles. This dramatically increases the reactivity relative to micrometre-sized powder thermite. Although super-thermite and nano-thermite are interchangeable terms, thermite with additives such as sulfur and/or barium nitrate known as thermate is also sometimes incorrectly referred to as super-thermite. Case in point, the definition of thermate contains no mention of it being called super-thermite. Furthermore, the show mentioned super-thermite as being explosive several times before showing Romero's experiment, so it seems likely that they would have made him aware that this is the caliber of material they wanted tested. 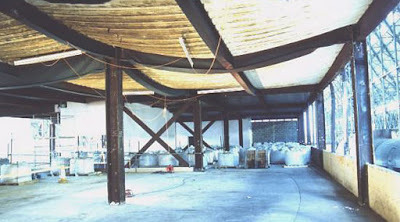 It is also probable that he was made aware of the nano-thermite paper published a little over a month before he conducted his experiment, especially because he has been involved in the 9/11 controversy since very early on when he initially stated the buildings looked like they were brought down with explosives. Either way, he should know that in the scientific literature super-thermite is synonymous with nano-thermite. As Greg Henricks put it in a letter to Implosion-World.com, Romero is "a former director of the Energetic Materials Research and Testing Center at New Mexico Tech, which studies explosive materials and the effects of explosions on buildings, aircraft and other structures." And the center has been the testing ground for companies like Energetic Materials and Products Inc. for "nanoaluminum based technology," such as nano-thermite. As to why Romero and the other experts at New Mexico Tech failed with thermite..​. ...maybe, just maybe, it had something to do with their funding. Pat Curley has posted the new nano-thermite video, stating, "Obvious question for the Waterboy: Did the nanothermite burn for weeks, creating large pools of molten iron?" As I've written before, Pat calls Kevin Ryan, who has a B.S. in chemistry from Indiana University, a waterboy because he worked as a chemistry lab manager at a premier water-testing laboratory. Obviously the reason the material didn't burn for weeks is because it was a very small amount. A paper Ryan published in the journal "The Environmentalist" outlines pretty well how the emissions and high temps at GZ were very consistent with long occuring chemical reactions. 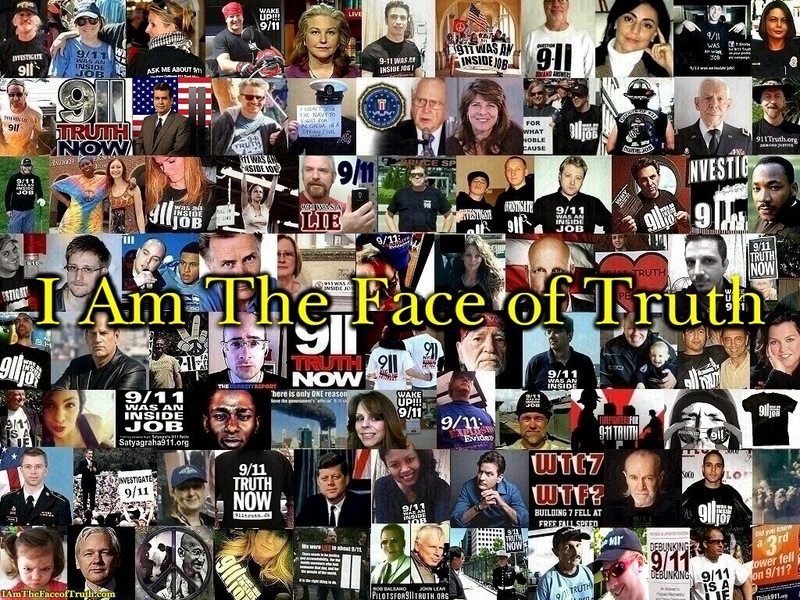 Jonathan Kay has posted this review at his site, simply stating, "Conspiracy theorist Jonathan Cole reviews 'Among The Truthers' at 911blogger.com... And guess what? He doesn’t like it!" Cole responds, "By the way, since I tend to trust Newton over NIST yet never posted a 'who done it' article, according to Jonathan Kay, I am now considered a 'conspiracy theorist'. (No doubt my past engineering and physics teachers are too.) 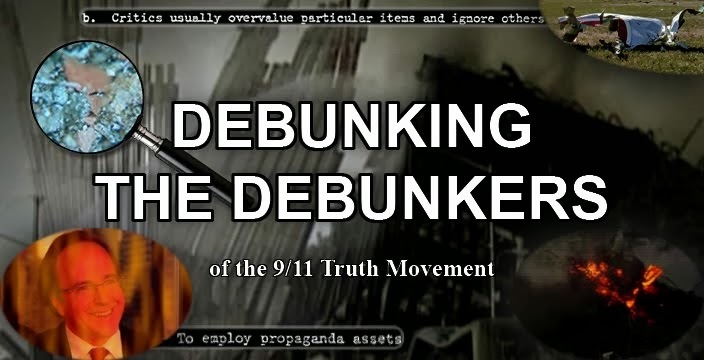 - 'Conspiracy theorist' Jonathan Cole"
9/11 "debunker" Ryan Owens has declared that the 9/11 truth movement is dead. Please join blog contributor Adam Taylor and myself in New York City this upcoming September 11th and help prove that he is dead wrong. The introductory text before the clip is taken from the You Tube page. It appears TWA 800 was most likely accidentally shot down by the US Navy. The Navy was known to test fire missiles in the area and their radar tapes of the crash omit an area consistent with a missile track on Flight 800. Watch the video and decide for yourselves if the authorities are lying. This incident provides a good example of a high level cover-up and is intended to help bust the bubble of conspiracy deniers ! RIP to all the victims of this tragedy. The clip here provides a short recent history of corrupt police practice in the UK. The record shows that certain UK cops, those in positions of power, are completely untrustworthy. The police, in the matter of the phone hacking scandal are investigating themselves. The recent resignations of the top cop and a deputy commissioner must be viewed suspiciously. This is another example of widespread corruption by those in positions of power and a reminder that we are unlikely to see the full truth come out if the establishment was involved in the death of Mr Hoare. A heads up for all those that think "the authorities", at least in the UK, are squeaky clean. This is why we always should seek open and independent public inquiries into such matters (although these inquires can also be subverted). Thanks to 'Charlie Gate', many truthers, particularly in the UK, have been brushing up on their 9/11 knowledge, and there has been fierce debate on YouTube about things like the freefall of WTC7. 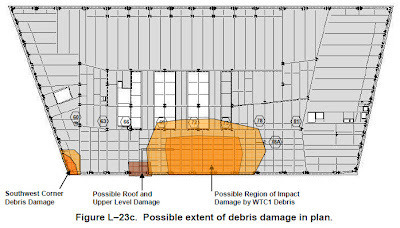 The apologists for NIST have been claiming that WTC7's 2.25 seconds of free fall can be explained by the lack of core support and exterior column buckling between floors seven and fourteen (depicted above) that NIST's model alleges occured. Basically they're saying it wasn't perfect freefall, but something indistinguishable - like 98% of freefall or something - which can be explained by the fact that the resistance offered by the eight crippled floors was so low that it could only slow the acceleration by a tiny amount. Let's do some simple physics to assess this claim. 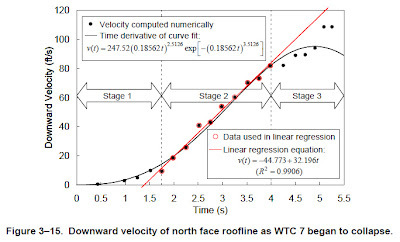 In the case of NIST's WTC7 theory, the acceleration of the collapse would therefore be determined by the ratio of the mass of the upper section (M) and the mass that those eight buckled floors can support (m). Because the building is collapsing, M is obviously going to be greater than m, but how much greater? If m is just one tenth of M - say if the mass of the upper section was 50,000 tonnes and the mass that the eight buckled floors could support was 5,000 tonnes - then the acceleration would be 8.8ms-2, which is noticeably less than freefall. If m is just one twentieth of M - say if the mass of the upper section was 50,000 tonnes and the mass that the eight buckled floors could support was only 2,500 tonnes - then the acceleration would be 9.3ms-2, which is still noticeably less than freefall. 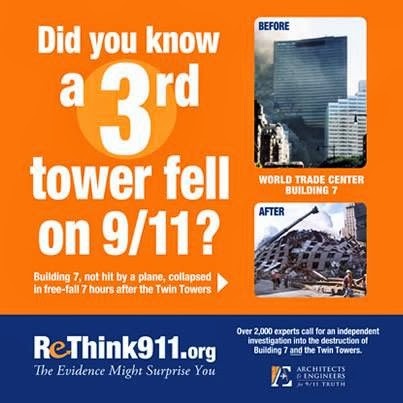 So unless the eight buckled floors couldn't even support say a fiftieth of the mass of the upper section, then the rate of WTC7's collapse, for those eight stories, would be noticeably less than freefall. Remember, skyscrapers are overdesigned, so it's hard to imagine, even with the loss of the core structure and a buckled exterior structure, that those eight floors would lose so much strength that they couldn't even support one fiftieth of the mass above. Notice how both collapses begin quite tentatively. This is because the scales have only just tipped. The resistance is less than the weight, but only just. This is what we would expect to see in WTC7. The alleged domino collapse of the core structure and buckling of the outer structure would not have been instantaneous. So even if this could explain the freefall, it can't explain how the onset of freefall was so sudden. 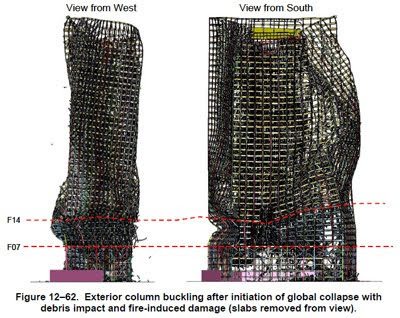 Essentially, the apologists for NIST expect us to believe that eight floors lost at least a fiftieth of their resistance to the weight above in an instant. But of course, all this is giving NIST's computer model too much credit, since the model fails to match observed reality in many ways. For one thing, the massive bulging of the east side, as seen in the south view of their global collapse simulation, was not observed. My point is, even if NIST's computer model was an accurate depiction of the state of the lower floors, it's still unlikely that the resistance offered by those floors would be negligible enough for virtual freefall to be plausible. One minute in Mohr states that Gage does not acknowledge the differences in construction between the twin towers and the other skyscrapers he cites as examples of towers which burned more severely without collapse. Humorously, he then does what so many debunkers do and contradict his own criticism by citing the collapse of a building even less like the twin towers ... the TU Delft building. I rebutted this stupid debunking argument in the first video I ever made, when I used the TU Delft collapse to support the demolition argument. Mohr characterized the TU Delft collapse as "very fast, almost symmetrical, and into its own footprint". Really? It was about 1/4 of the height of WTC7, and1/8 the height of the twin towers, and collapsed no where near a free fall rate, and it was only one wing of the building ... how exactly is this proof that a massive skyscraper can undergo a progressive, global collapse at basically free fall? Afer droning on about the TU Delft collapse for a full four minutes, he then cites other examples commonly cited by debunkers like the Kadel toy factory and the interstate 580 overpass - again contradicting his earlier criticism of comparisons to skyscrapers Gage cites. The doublethink here is astounding. If a university building, a toy factory and an overpass are relevent then so are the skyscrapers Gage cites. After talking a bit about how fire causes floors to sag, and how this phenomena is vital to NIST's 'inward bowing' theory for the towers (while neglecting to mention it's a major problem for NIST's 'rigid thermal linear expansion' theory for WTC7), he finishes this part of his rebuttal by comparing 9/11 truth to what I guess is called "titanic denalism", and saying lots of scientists don't like people like Gage for various reasons. One reason, he says, is they don't like being accused of being part of a conspiracy - an accusation Gage has never made - and another reason is we are apparently "unschooled in the scientific method" - even though Gage's presentations follow the scientific method. The only difference is Chris Mohr's rebuttals are relatively ad-hominem-lite. Aside from that, the tactics and arguments are basically the same. This is another verinage demolition of an apartment building in the same area as the other one. The latest person to be branded a shill by fundamentalist truthers is Charlie Veitch of The Love Police who recently announced to all his followers that he no longer believes 9/11 was an inside job. This is especially weird because no less than two weeks ago he said the scientific evidence presented by Richard Gage had fully convinced him that the towers were demolished. In the above clip he explains why he's changed his mind. I'm assuming Charlie didn't know this was being recorded because he revealed something I'm guessing he wasn't supposed to. 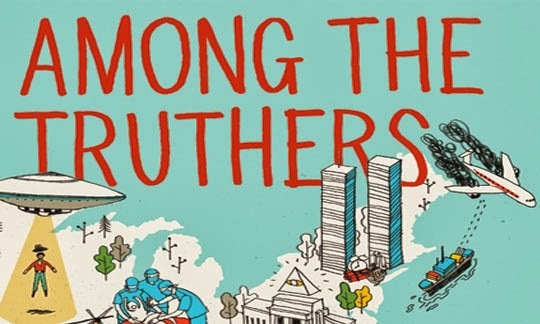 Apparently the BBC are making a program called "9/11 Conspiracy Roadtrip" about five 'truthers', including Charlie, touring the states investigating 9/11. Now I wanna know who these other four 'truthers' are, because Charlie is not a prominent person in the 9/11 truth movement. He's just a general activist who has only mentioned 9/11 every now and then. I expect it will be the same with the other four. No doubt one of them will also be a crazy no-planer or something. If so, it's not really a program about truthers. He also mentioned visiting family members. Again, I expect these were carefully selected family members who disagree with us. But what about the family members behind the BuildingWhat campaign? The game the BBC are playing here is obvious. Their intention is to get these five so-called 'truthers' to recant their conspiracy views so the viewer thinks this is all BS. And it seems with Charlie they have succeeded. Alot of what he says in the above clip I actually agree with. I agree that there is a sort of cult-like mentality with regards to things like Pentagon no-plane theories and fake phone call stuff. 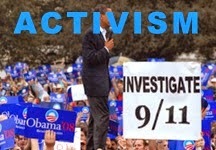 But this is not the real 9/11 truth movement. Most real truthers have abandoned these theories. It's only the conspiracy theorists who ascribe to them. Veitch seems to have lumped the 9/11 conspiracy theorists and the 9/11 truthers together. They are not the same. And his comment about the psychology is right on. 'Awakened' people can be just as guilty of becoming emotionally attached to an idea as the so-called sheeple. And the furor of comments he has recieved the last few days proves that. I respect differing opinions, but he seems to be parroting alot of typical debunker denialism here. He states flatly that he 'saw no evidence of controlled demolition', as if he's forgotten about all the science he saw from Richard Gage's presentation in Cambridge. And he parrots the 'impossibility' canard. As if he's forgotten everything people like David Icke (he's seen David Icke live) say about compartmentalization. He also said he spoke to a demolition expert, who I assume was probably someone like Brent Blanchard, and I'm guessing they told him it would be impossible to demolish those buildings. While there are many demolition experts who disagree with us, the problem with their counter arguments is that we are not saying these buildings were destroyed using the conventional methods that most demolition experts are familiar with. In fact, we are saying the exact opposite. These were very unconventional demolitions. It doesn't matter how impossible you believe such a thing to be, the science is there. To say "I can't imagine how these buildings could be covertly demolished, therefore I'm going to deny all the hard science that proves they were covertly demolished" is an argument from incredulity, a logical fallacy. At 5:15 in the above video he says he was given a demonstration of the ineffectiveness of 'nanothermite'. But John Cole has demonstrated that crude thermate-based devices can be quite effective at cutting steel. It all depends on how it's used. But even if he's right, and nanothermite is ineffective at cutting steel, it was still found in the dust. And it still shouldn't be there! Regardless of how it was used, it's very existence in the dust proves fowl play. I don't like calling people shills, and I'm going to give him the benefit of the doubt, but still ... it's very strange how someone could completely change their opinion so suddenly. I think it may be that he was shown evidence that a plane hit the pentagon and evidence which refuted alot of the other fringe stuff, realised those ideas were all crazy, and then applied this assessment of 'crazy' to all the 9/11 truth arguments. And the tidal wave of rabid comments he has recieved from so-called 'truthers' have reinforced that assessment. I'll assume this is just him mistaking fringe 9/11 conspiracy theorists for 9/11 truthers and thinking in black and white and not due him being 'got to'.